: Cost of Organic Shimmer Franchise? How Much Does It Cost to Own an Organic Shimmer's Franchise? Owning a Organic Shimmer beauty-related franchise can be a lucrative business, but it does have some initial financial requirements. To open a single tanning centers location, the company requires that potential franchisees have liquid assets of at least $100,000. The franchisee startup costs associated with owning an Organic Shimmer beauty-related franchise are similar to those of South Beach Tanning Company. 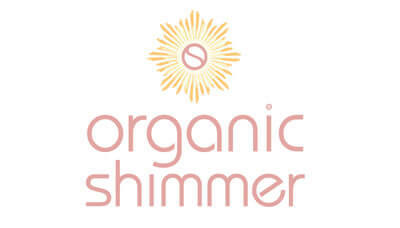 Organic Shimmer falls under the 'health & fitness' and 'women's' franchise categories. Across these multiple categories, it is further subcategorized under 'hair care & beauty salon' and 'tanning salon'. See how the investment level of Organic Shimmer's compares to those of other available retail related franchises. Organic Shimmer elevates the standard for luxury sunless tanning. Organic Shimmer - an upscale hot spot for high-end, organic spray tan services. Our product is eco-certified organic and made with vitamins, jojoba oil, coconut oil, anti-aging elements, herbs and botanical plant extracts. Our organic spray tan solutions hydrate and protect the skin while offering a streak-free, natural looking tan. Meanwhile, our custom-engineered extraction booths prioritize comfort and safety while delivering an all-around even tan in less than 10 minutes! Hand-built and state-of-the-art, our spray tan extraction booth eliminates excess airborne particles and can't be found anywhere else in the industry as it is exclusively made for Organic Shimmer. Organic Shimmer's business model streamlines both the technical and client-centric components of running an efficient tanning salon business. With our support and guidance, you'll be free to enjoy the freedom of being your own boss in a fun and creative industry! From our technology to our products to our approach to customer service, Organic Shimmer leads the pack as an innovative force in a booming market. Don't miss your chance to join in on the fun! Organic Shimmer is not currently accepting new franchise inquiries through this site. Please see our comprehensive directory for currently available franchises near you.